How do you make your design sell? Banking on the innate creativity of Filipinos and the teeming raw materials in the country, Manila FAME International push "Designs that Sell." For Filipino manufacturers, design and style combined with profitability and value is what matters most for any product to be marketable. “For a long time, Philippine exporters and manufacturers developed exceptional products with high-quality and trendsetting designs but they overlook the pricing and costing for each product that it becomes expensive in the market. Through this the Manila FAME International Merchandise Specialist Program, we will resolve that concern and make Philippine products reasonably priced for the global market without affecting the designs and quality,” said Rosvi C. Gaetos, executive director of the Center for International Trade Expositions and Missions, the export promotions arm of the Department of Trade and Industry. The Merchandise Specialist Program or MSP is one of Manila FAME International’s assistance to Philippine companies, exporters and designers in an essential platform for product development and innovation for the show’s exhibitors, the MSP provides local manufacturers the opportunity to collaborate with top-rated local and foreign design professionals. With the Merchandise Specialist Program, CITEM tapped the assistance of International Marketing and Branding expert Michael Cleghorn and Merchandise specialist Linda Simpson. Through the MSP, the two consultants will share their extensive experience in merchandise development, creative clustering, brand building, and designing for profitability, with qualified Filipino exporters and manufacturers to produce new lines and collections for home, fashion, and holiday and gifts. They will also help qualified exhibitors to develop products that are “on-trend” and that will sell in large volumes and marketable in any kind of market. Companies and manufacturers from Metro Manila, Pampanga, Cebu, Davao and Bacolod join the Merchandise Specialist Program in creating design commerciality and brand identity for their products. Dubbed as Asia’s foremost Design Show, Manila FAME International, gears up for an exciting and richly textured event that brings buyers and visitors more than the usual rewarding sourcing experience. For the October event, it partners with the country’s three major sourcing events- Manila Now, Cebu Next and Bijoux Cebu- bringing products that exude with design and style, value, and profitability. The Manila FAME International, the flagship project of CITEM, partners with the country’s major sourcing events- Manila Now, CEBUNEXT, and Bijoux Cebu, to bring you a wider selection of the best of the best Philippine products ever assembled under one roof. The show has been instrumental in the development of Philippine home and fashion lifestyle industries for more than two decades. Slated on October 16-19, 2011 at the SMX Convention Center in Pasay City, it is the only accredited event in the country by the Union des Foires Internationales (UFI), a Paris-based association of trade fair organizers. 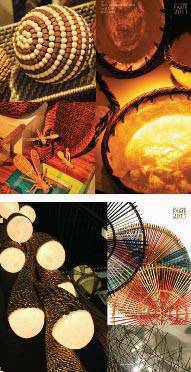 For more information on Manila FAME International, please visit www.manilafame.com or email publicity@citem.com.ph.